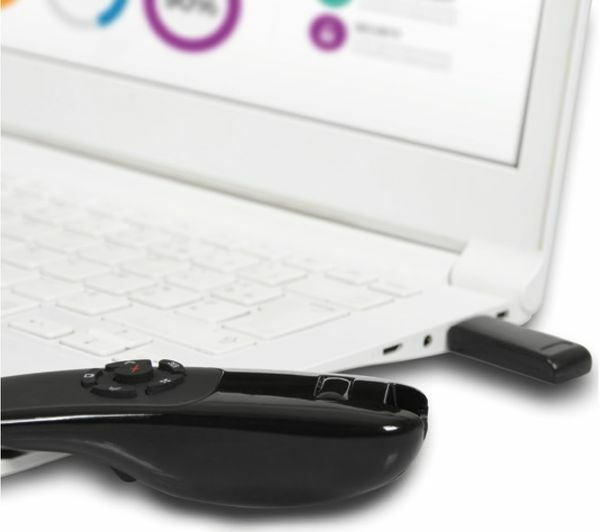 Handle presentations like a professional with the smart and simple Port Designs 900700 Wireless Laser Presenter. It's easy to set up – just plug the USB receiver in and you're on your way. 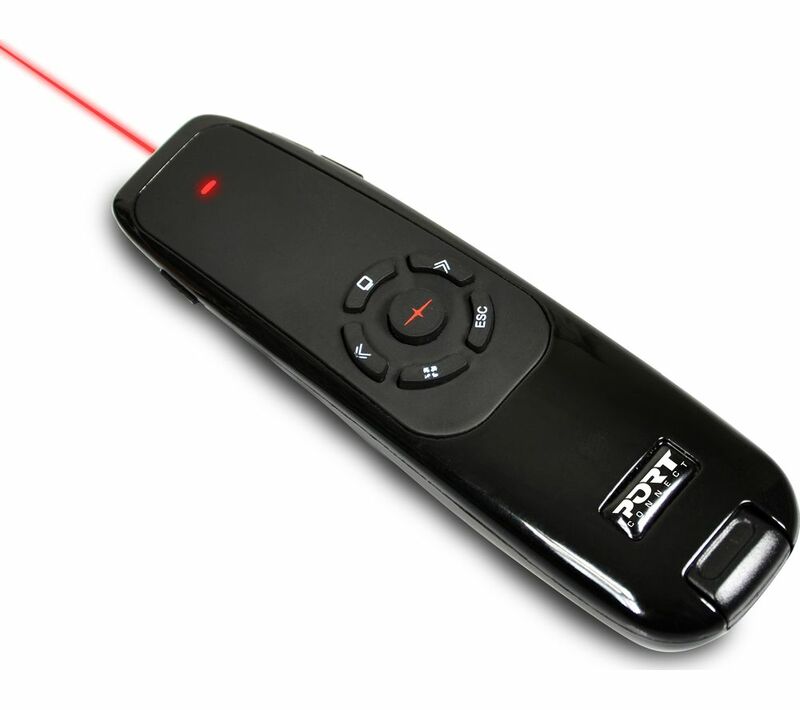 It has simple and intuitive controls, such as forwards and backwards slides, exit, a red laser pointer, and more. 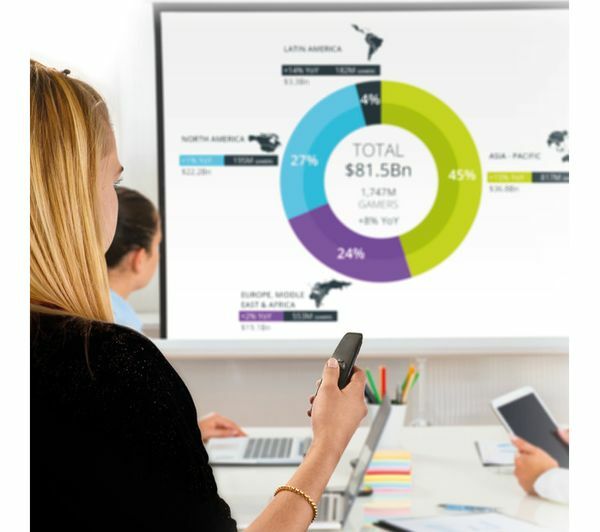 The receiver is suitable for use up to 20 metres away, so it perfect for conference and board rooms.